Thank you so much to all the Wonderful people I have been able to help during this year and who wrote a wonderful review (and yes, without prompting). I enjoyed helping you create a home you love! 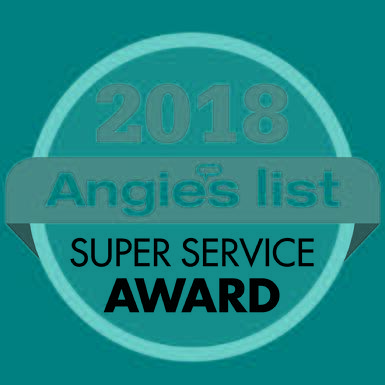 Check out Angie's List for reviews and at least 15+ years of Super Service Awards. Why don't you take the next step and call to create a home you will love? It is so easy. Isn't about time for YOU to have a home you are proud of? (you're not alone, many struggle and say they will do it...2 years, 6 years, you know the routine- and it still hasn't been done. Call today. Does Your Organization/Group/ Club need a Professional Interior Decorator Presentation? Ready Set Redesign is a Solution Based Interior Design Consulting company that believes EVERYONE deserves and can have a beautifully Decorated home with any budget. With over 4000 clients, it has been proven that it can be done. This process began in 1981. STOP: before checking out our Design services. THIS IS YOUR ONLY WARNING are you sure you want a well-decorated home that feels warm, cozy, inviting and peaceful? Can you handle a beautifully decorated home? If yes, please proceed. You make the purchases: This allows you to implement the Easy-To-Understand Design Plan when your time and budget allows. The Best Part: You shop where you want to shop! Your Design Plan is created RIGHT.ON.THE.SPOT.- yes, when I am in your home. This is not cookie cutter decorating. It is a compilation of your wants, needs and desires pulled together uniquely for you, based on your style and lifestyle. Your detailed Decorating Plan Includes everything from ceiling to floor: light fixutres, wall colors, artwork, accessories, window treatments, and much more. For kitchens and bathrooms: tile, faucets, storage solutions, new layout. Sizes, colors- you are NEVER clueless. You will save $$$- by not making decorating mistakes. You will save Time- by having a plan. No more analysis-paralysis, and working through the second-guessing process. Need help when implementing the Decorating Plan? I'm just an email away. Think you want more help? That's easy to remedy, you can hire me to shop with you. In two(2) short hours you will have a plan to decorate a room or we will completely transform an existing room with minimal additions. How easy was that? "Settle down...it will all be CLEAR..."
Call Ready Set Redesign today to Schedule a Decorating Appointment! No room is too ugly, too embarrassing, too clutter-filled (toy-filled) or too "dust-bunny" filled for me to help reDesign or Design it into a beautiful room- I am just am saying this because these are excuses to prevent you from having the home of your dreams.